Research Report - Is Bitcoin the future rivalry to the New Zealand currency - Part 2steemCreated with Sketch. 1. What do you think about Bitcoin as technology? Interviewee #1 thinks the Bitcoin Technology is amazing and is fundamental different to how society currently thinks – Everything is centralised, governments, banking, even large organizations e.g. google Microsoft, Walmart are all controlled by singular large entities. Peer-to-peer decentralised currency systems like Bitcoin have been attempted at before but have failed, ‘interviewee #1’ states that Bitcoin is the next stepping stone of the evolution of money because the cryptographic block-chain technology is now available where it wasn’t previously. Bitcoin will be around for a long time because of the unique way the system has been put together and how this technology is relatively easy for users to apply with cell phones and laptops etc. One of the fears ‘interviewee #1’ claims to Bitcoin future is FUD (fear, uncertainty & doubt) where it gains a bad reputation for itself among the government and society. Which is countered by societies technological skills and tech savvy youth that have the ability to understand something new like distributed ledgers. 2. Do you think Bitcoin could be adopted in New Zealand? Bitcoin has the ability and will be adopted in New Zealand and every government around the world is going to have to adapt in some way. Governments will lose out if they resist and don’t adapt to cryptocurrencies like Bitcoin – vice versa, the earlier governments learn to adapt and accept Bitcoin into being part of the economy the more beneficial. It is unlikely that Bitcoin will act as a replacement for the New Zealand currency but the concept of the technology and the opportunities available could further lead into the New Zealand government implementing their own National cryptocurrency that would be created in the sense to allow the government to be in control of distribution and issuing crypto wallets – whether this currency would then be centralised or decentralised and what position bitcoin would be left in would be something the future can tell. Because the government cannot be in full control technology an option is for them to partake in it, this could be done with the use of Ethereum smart contracts. Ethereum is another large complex cryptocurrency, in simplified allows users to create smart contracts which run on the blockchain and can be programmed to self-execute when the particular conditions written in the contract are met. The use of these smart contracts will give the government the ability to create on top of their ‘national cryptocurrency’ in terms of implementing some sort of tax system e.g. When a person receives ‘n’ ‘national cryptocurrency’ in their paycheck the person gets taxed ‘x’ amount. This is just a tiny example of an entire system that could be created on a smart contract for a national cryptocurrency. Bitcoin is anonymous to an extent, this is to the degree where users are able to track an entire transaction history from any digital wallet. These wallets ID’s have no details (names, address, date of birth etc.) there’s no real identify a party from a wallet until the person transacts fiat into crypto Vice versa. Most Bitcoin exchanges require a huge amount of information from parties looking to exchange fiat currency to Bitcoin in order to make transactions secure and tracable, this is when a parties details can be attached to a persons details via the exchange which gives governments the option to trace transactions and funds taking place within their economy. It becomes a risk for the government when users start to exchange peer-to-peer using fiat cash e.g. one party sells $100 worth of bitcoin to another party for $100 cash, this is where the governments and banks lose total control and oversight over what funds are where. Humans have not liked paying tax and if there is a way around it people will find out, there are individuals that partake in tax avoidance and there are individuals that partake in tax evasion. The majority of individuals stay away from tax evasion because it is too easy to get caught. Introduce a pseudonymous system like bitcoin and tax evasion becomes something where individuals are not likely to be caught. Therefore if the global governments don’t start to get involved in systems like Bitcoin and other cryptocurrencies the potential of a global financial meltdowns have the potential to erupt. The global economy rumble wouldn’t likely breakout and start in established nations like the US, Europe, China etc. It would most likely start in underdeveloped nations like Africa and India where their societies live among huge amounts of taxes and bank fees. 3. Would bitcoin adoption be experienced differently in New Zealand compared to other countries? Bitcoin adoption will most likely not be experienced differently in New Zealand compared to the rest of the world. Supposedly New Zealand is a country where technology companies try out new technologies before expanding to the rest of the world e.g. pin and chip as well as Eftpos technologies among many, many other technologies were first trialled in New Zealand. 4. How do you think Bitcoin could this effect New Zealand? Pros and cons. When sending Bitcoin users pay a transaction fee which is paid to the ‘miner’ for providing the service of running their mining rig and allowing the transaction to go from one wallet to another. Due to Bitcoin becoming so popular there are many, many more transactions than the bitcoin miners are able to keep up with – ultimately increasing the price of transactions. These transaction fees have become ‘relatively super expensive’ (currently roughly $4-$5 USD) even compared to Eftpos and Credit card transaction fees. Bitcoin is no longer fit for small transactions e.g. buying a drink or a chocolate bar. Large transactions e.g. Buying a computer, car, or house etc. parties will have no issue paying a couple of dollars as a transaction fee. Therefore ‘interviewee #1’ believes that Bitcoin will become a cryptocurrency used for large transactions where another cryptocurrency would be used for small transactions. 5. Could you think of some opportunities that Bitcoin could offer New Zealand? Bitcoin has the potential to allow individuals to be in full control in many aspects, situations like selling a car or a house for example; previously buying a house would require both parties (the seller and buyer), the real estate company and the banks of the parties. Introducing Bitcoin technology to the process of buying a house could allow individuals to create a contract between them on their own discussed terms and conditions, transfer the Bitcoin funds from one wallet to another wallet and transfer ownership as the funds are transferred immediately and the change of ownership is automatically transferred along with the payment. This simple example identifies the ilimination of past problems e.g. when one party has to transfer money from one bank to another bank funds could take up to two days – a period where the funds are out of control of the parties and where the ownership of the house is not vivid while the money is processing. Bitcoin is a game changer for the exchanging of large goods and services. 6. What do you think the bitcoin adoption stage is at currently compared to what it could become? ‘Interviewee #1’ believes that we are very early stages of adoption, currently taking baby steps. A lot of New Zealanders may have heard about Bitcoin and know that it is a very expensive coin but wouldn’t know much more than that, majority of people would be unaware of what the blockchain is or what correlation Bitcoin has to the blockchain. For an individual to adopt bitcoin it would require them to take the leap of exchanging their fiat currency for Bitcoin, which would only happen in the large scale if people begin to understand and trust the technology. For mainstream adoption for bitcoin will be achieved in baby steps, because it is decentralised there is no party pushing marketing and adoption. Bitcoin adoption will start to take place as individuals start to be introduced, learn and play with this type of technology is when adoption will start to spread. Kiwi’s will not require the full knowledge of Bitcoin and blockchain technology as it is a very complex system for the general population to get their head around. The general population will start gaining serious interest in this technology when they have gained the basic understanding of the main bitcoin traits; can’t be disrupted, decentralised etc. and when they can see the system work seamlessly. This possible adoption idea could be compared to some sort of virus spreading from person to person at an ongoing increasing rate. Therefore issues will start to occur if governments like New Zealand do not take of the main cryptocurrencies and respond before mainstream adoption. 7. Do you think bitcoin realistically has the potential to compete and damage the New Zealand as well as other currencies? Bitcoin can and will damage the New Zealand economy when individuals and organisations start to learn and take advantage of a newly discovered grey area in the system. People will start paying without GST, import duty, capital asset tax can be avoided when assets ownership can be transferred pseudonymously. The amount of damage and risk for the government increase adjacent to the adoption rate unless the government starts participating somehow. 8. Do you think the New Zealand government should intervene at some point and place some Controls on Bitcoin? If so, at what stage should they do this? “The whole idea of a distributed system takes out centralised management and there is nothing centralised management can do about it except to intimidate people” The New Zealand government could introduce regulation and make Bitcoin illegal with serious consequences which may intimidate the majority of people but will not shut it down. Compared to other illegal activities e.g. taking drugs, stealing, speeding etc. it discourages the majority but still commonly takes place. Because of the potential rewards (not paying tax, less costs, fewer middlemen) for people that Bitcoin technology offers people will figure out a way around the system, now bitcoin represents as an easy non traceable way around. For the New Zealand government to counter what huge problems are inevitably bound to happen is something that regulation cannot simply resolve. The New Zealand government would gather all the current experts together and would discuss resolution to the current and future bitcoin and blockchain problems. When politicians and the powerful business heads that were unaware find out about the technology they will start to become very fearful and defensive, fearing the loss of control, income and potentially their job as these people represent as middlemen who become increasingly insignificant in correlation with adoption. 9. What would you think mass adoption would look like for New Zealand? What will have changed? If Bitcoin were to be mass adopted in New Zealand it would not likely have a significant impact on how consumers exchange currency for goods and services apart from a likely increase in peer-to-peer exchange and a decrease in middlemen. Goods and services will likely become cheaper with the elimination of many middlemen who’s services have become irrelevant. In terms of consumers purchasing goods, instead of pulling out a wallet with a cash or card and chip system a Bitcoin payment system would allow consumers to scan the barcode on their cellphone and the payment would be sent with the same idea but in a different currency. 10. What do you see are some of the potential benefits of mass adoption of cryptocurrency in New Zealand for the [reserve bank/treasury]? The current tax and payment systems are not as automatic and accurate as they potentially could be due to the amount of middlemen and processes that are involved, if the government take the right approach this is something that could be simplified. The current New Zealand process and system of employees getting paid wages and paying tax works in the way where individuals are required to pay a certain amount of tax in relation to earnings. The government relies on individuals to pay the right amount of tax by either employees filling in a form or relying on their employers accuracy of having the right tax code. At the end of a financial year tax payers will then have paid an inaccurate amount of total tax whether this is more or less than required and have the ability to claim back the difference. The amount of processes and people involved in the current tax system could significantly be replaced with blockchain technology e.g. as the government will have the vision to see what employees earn in bitcoin and can tax the accurate amount on some sort of tax altered platform on top of the bitcoin block chain. 11. What do you see are some of the potential disadvantages of mass adoption of cryptocurrency in New Zealand for the [reserve bank/treasury]? 12. To your knowledge has New Zealand taken any action this far in order to control bitcoin? 13. What would be the best strategy for the New Zealand government to manage bitcoin in relation to adoption? Do you know if there any current plans in place? ‘Interviewee #1’ believes the New Zealand government cannot stop this, it is the weather and it is going to come. They can slow it down but in the bigger picture it is inevitable. They could potentially retrofit some sort of system on top of the Bitcoin block chain system in order for the government to steer the economy in the most favourable direction to retain stability. Saying this, the attempt of putting controls on decentralised system in a country with less than 5 million people will likely result in a short term barrier – you can’t control the weather. 14. Other countries like Japan are taking advantage of the early adoption perks, Should New Zealand to follow and what could the flow on-effects of this be? Yes – early adoption is the key to winning. N/A = irrelevant answer, no use. ‘Interviewee #2 thinks bitcoin is a good technology and believes that this technology has the aspects that can be taken into the future. ‘Interviewee #2’ believes that bitcoin adoption in New Zealand will occur behind the example of other countries. Currently in New Zealand there is are very limited general uses for Bitcoin and therefore less incentive for Kiwis to adopt bitcoin compared to other nations where the current use of bitcoin has much greater potential. ‘Interviewee #2’ believes that we are currently behind in terms of adoption in comparison to countries like Japan and China which are probably the most advanced countries in terms of bitcoin adoption and states that it will likely remain this way. Bitcoin adoption will be experienced at a slower pace at the consumer level in New Zealand in comparison to other nations as we do not have the infrastructure to support these kinds of payments. Bitcoin is still relatively trackable, if Bitcoin has the potential to cause a problem they may consider a system where all wallets could be trackable. Bitcoin adoption is currently very low when thinking about the bigger picture, this is likely due to consumers not being introduced into it and because it is still very inconvenient for Kiwi’s to buy Bitcoin in exchange for NZD as exchanges are not very accessible and usually requires a premium payment in return of the service provided. ‘Interviewee #2’ stated that Bitcoin does have the potential to damage and have an impact on the NZD but claims that there would be more influences than just Bitcoin itself to cause a significant amount of harm. The government needs to definitely keep bitcoin and other virtual currencies on their radar and keep an eye on it but ‘interviewee #2’ believes that the government should not intervene at any point in time in the near future, until it actually becomes big enough to become a potential risk e.g. money laundering, tax evasion which is when the government should intervene. ‘Interviewee #2’ suggested a potential control could be banning bitcoin but contradicted himself straight after stating that this would slow it down but wouldn’t stop it. Bitcoin would be easier to buy, sell and exchange compared to currently. As a transferable value Bitcoin could potentially replace cash but states that from the governments fails to see the reason of supporting Bitcoin instead of creating their own national virtual currency with similar ideas and improved technology. A national cryptocurrency supported by the government with their implemented traits in order for it work effectively in accordance to the New Zealand economy could potentially work, representing as a bitcoin competitor. Some of the Bitcoin exchanges have been effected by current New Zealand anti money laundering policies. Regulation could resolve the entire issue bitcoin has created for governments but because of the way bitcoin is designed it has created a loophole which results there not being any reasonable feasible way as this is a decentralised peer-to-peer platform which can’t be easily disrupted. If the New Zealand government were to openly discuss their stance on Bitcoin, it would create more certainty for kiwis. ‘Interviewee #2’ suggests that the government could attempt to find a way of analysing the entire Bitcoin block chain and make it monitory for bitcoin users (individuals and businesses) to provide the government with their block chain and wallet details so that the government is able to monitor the transactions that they believe to be in New Zealand. This idea to strategically solve the problem of finding a way to flag all the national transactions to the block chain but is then countered by the fact that individuals can create multiple different addresses and keep them off the radar with mixing servers that create full anonymity. To resolve tax avoidance, the New Zealand IRD could ensure that all bitcoin addresses are filed within their systems so that any kiwi bitcoin earnings would be taxed accordingly at the time of the transactions. This is the section in my report where I gather my secondary and primary data and bring all the ideas together and analyse, interpreted, discuss, and explain in order to be able to come to a conclusion. The general purpose of this research report was to gain a thorough understanding to how bitcoin technology will impact the New Zealand economy and to explore possible solutions to how the NZ government could best manage something that could potentially be extremely disruptive. My findings have provided me with bit of a backbone that will allow the comparison of the interviewees answers to one another and then able to compare and contrast the main points gathered from my literature review and findings and come to a conclusion. The overall quality of the findings is intensely lacking as an official government opinion wasn’t able to gained in terms of primary research which was the original research pathway. The research question which created with the assumption that some sort of representative at the government would be able to strongly inform me about has backfired and has resulted with a lower quality of research. This was a barrier that seriously demotivated me during my research experience as this meant that I was still required to put so much time and effort into the completion of this report knowing that the overall research result quality wouldn’t be of any significance. I fought through the demotivation and interviewed two people that were aware of what the general concept of bitcoin and the issues involved. The interviewees knowledge on the topic clearly ended up severely differing, ‘interviewee #1’s interview took one hour while ‘interviewee #2’s’ covered the questions in about 15 minutes. The significance in knowledge wasn’t able to be foreseen by myself as the interviewee’s were gathered as substitutes for ‘government experts’. ‘Interviewee #1’s’ was very informed about the concept of the Bitcoin and the blockchain and provided me with a lot of fresh insight and concepts in response to my questions and ideas. This persons insight to the topic was also supported by his age and amount of experience in the technology field. The interview went well for three main reasons and therefore was able to gather a lot of data: Having talked to this person previously at the start of my project made the process more comfortable, ability to read his body language, being able to interview this person at NMIT - where we both felt comfortable. ‘Interviewee #2’s’ results appeared to differ as being less detailed and informed about the deep insights to this this topic, which was expected as this research was initially intended from the NZs governments perspective. This interview was also conducted on the phone between two people that had never talked or even seen one another before which justifies the difference in detail and insight as results in the questions. Interviewee #2 is a ‘research assistant’ for a research paper written about bitcoin which was quoted by a the RBNZ on a related article, this is quite a distant relationship to what was aimed for but was obtained with the given circumstances. He was much younger in comparison to ‘interviewee 1’ and likely just a student which explains the slight lack of in depth knowledge provided during the interview. The data collected in the literature review is very valuable for me to be able to come to a conclusion on my research questions. Because the findings gathered are not as reliable as originally envisioned in comparison to the reliability and quality represented in my literature review. The structure of the processing of the data will portray the literature review as the backbone and the findings to represent as support instead of the other way around in order to push for accuracy and reliability in the conclusion. Bitcoin consists of a finite supply of 21 million bitcoins meaning it appreciates instead of depreciating. The idea of a monetary system that doesn’t depreciate seems so basic but is very powerful. This will essentially give people security to what they own and to its value, nowadays if you store $100,000 in the bank you know it’s going to be essentially worth less than what it was at the start. Central banks release or restrict the supply of money in order to ease economic cycles, when really thought about is straight manipulation – something society has almost no influence over, whether this is wrong or right is irrelevant because this is the way current economies functions worldwide. Bitcoin technology is essentially society standing up for themselves against the government; to which party should succeed in this, battle cannot be supported by myself as this would create Bias. Decentralisation is arguably bitcoins biggest strength in relation to society’s battle against the government but is likely the governments biggest fear, Bitcoins lack of connection to central authorities means it cannot be artificially manipulated. Without taking sides of either the government or Bitcoin, to decide whether Bitcoin could improve the new Zealand economy I’d have to say yes, if it is done right. A fully digital system which has quick, simple, cheap, and cross border payments that can be accepted worldwide is something the world has missed. In the perfect world everyone would speak the same language and everyone would use the same currency, currently our world is broken and maybe Bitcoin provides the option to piece it back together. If the world is broken, why hasn’t a decentralised system been implemented earlier? Peer-to-peer systems have been attempted at before but failed due to not having the ability to create full decentralisation which is incredibly difficult. As Interviewee #1 stated, that Bitcoin is the next stepping stone of the evolution of money because the cryptographic block-chain technology is now available where it wasn’t previously. Bitcoin will be around for a long time because of the unique way the system has been put together and how this technology is relatively easy for users to apply with cell phones and laptops etc. It is hard to predict the impacts of Bitcoin mass adoption in NZ as there are many, many variables that will determine the future but Interview #1 claims that consumers may experience cheaper goods and services as many middlemen who’s services have become irrelevant will be eliminated. As ‘Interviewee #1’ stated Bitcoin transactions have become ‘relatively super expensive’ (currently roughly $4-$5 USD) even compared to Eftpos and Credit card transaction fees. Bitcoin is no longer fit for small transactions. Having larger transaction fees than current payment methods obviously discourages people from switching to this alternative. A $5 dollar transaction fee means a bitcoin transaction becomes more reasonable as the value of exchange is higher. ‘interviewee #1’ also believes that Bitcoin will become a cryptocurrency used for large transactions where another cryptocurrency would be used for small transactions. The introduction of bitcoin and blockchain technology has made the government vulnerable. I’ve come to realisation that central authorities run some sort of a monopoly on money, not for their own sake – for the sake of ensuring the economy flows in a healthy manor. The strength previously discussed of bitcoin having the ability to send quick, cheap, cross border transactions without having to wait two days and without charging a considerable bank fee ultimately results in the government losing power. Consumers will start using the cheaper alternative of bitcoin, which results into having a negative impact to banks profitability. The average consumer requires stability in their currency to feel safe and secure, Bitcoin prices are currently very unstable and highly volatile resulting it to be considered a risky investment. As the market cap grows the volatility decreases as there are more parties influencing the price with supply and demand, as can be seen with fiat currency stability. Both Yermack and Society argue that Bitcoin looks like a speculative investment rather than a currency. The technology is very hard for the average person to understand. Bitcoin deals with daily hacking which is always considered scary, it’s a way of avoiding taxes and money laundering as (Interviewee #2) also claimed. It has a notorious reputation to be traded for illegal goods aswell. I agree, these facts are true and provide Bitcoin with a bad reputation, which allow any party opposed to Bitcoin (government) to scare the uninformed (society) with statements like this. The reserve bank of New Zealand stated crypto-currencies such as Bitcoin are not considered as a currency. The Reserve Bank of New Zealand considers crypto-currencies to be a type of payment system. In order for Bitcoin to be a currency the RBNZ states it requires to be; a reliable means of exchange, a unit of account, and a store value just as listed above. I do not agree to the approach the RBNZ in respect to having to clarify that Bitcoin isn’t a currency. In my opinion this is a tactic in order to scare potential investors, labelling Bitcoin to being a currency or not isn’t relevant which was the main message received during my short email conversation with them. “In order for Bitcoin to be a currency the RBNZ states it requires to be; a reliable means of exchange, a unit of account and a store value just as listed above.” Yes, I agree that currently Bitcoin may not be considered as a unit of account or a store value but this has the ability to change as Bitcoin adoption increases and retail stores adjust. If in 10 years Bitcoin is used daily among Kiwis in replacement of cash, will the RBNZ still not consider Bitcoin as a currency? The fact that individuals are able to have full control during peer-to-peer transactions both nationally and internationally, quick payments and affordable fees replaces the old timely processes.This may potentially turn New Zealand into a less of an organisation ruled society, the option of peer-to-peer trading internationally is also opened up for people. This creates many, many opportunities for people and ultimately creates equality eliminating powerful middlemen e.g. service providers like real estate services and car dealerships becoming insignificant. Currently Bitcoin adoption in New Zealand has barely begun but I believe that the larger Bitcoin grows and develops amongst societies the more opportunities that are to come, as Interviewee #2 discussed that bitcoin will be much easier to buy, sell and exchange in the future. The New Zealand government now has the ability to replace current tax paying methods with the introduction of blockchain technology. Both Interviewee #1 and Interviewee #2 agree that the NZ tax system is not efficient and easy for kiwi’s. People are eligible for a tax refund every accounting year, if they haven’t been informed on how to claim tax back that was overpaid they are required to pay a third party service which does this process for them and takes a chunk as service payment. In this day and age a nations tax system should this disorganised. Both interviewees discuss the possibility that the government could implement a system through the IRD which runs on the blockchain that pays tax accurately and occordingly to the Bitcoin transaction. I personally believe that a tax system cannot simply be replaced or improved due to being impacted by many variables, the idea of having an automated tax system that uses blockchain technology does sound appealing for the NZ economy. Whether this could or couldn’t be implemented on Bitcoin or NZ’s national cryptocurrency is much to technical for me to discuss. For the government to even consider Bitcoin to be a viable payment method in New Zealand the government needs to be assured that their people can handle such advanced technologies. I believe that the people of New Zealand have the technological capabilities to adopt Bitcoin as New Zealand has previously been the first to trial other advanced payment technologies such as pin and chip and eftpos. I believe that the countries that use their resources (time, skills, money) in the most effective and efficient way are the countries that outperform their competitors. The New Zealand economy is made up and structured by the government and organisations who are all individually trying to outperform one another, resulting in jointly trying to outperform other nations. The New Zealand economy has filled itself with countless intermediation service providers (e.g. banks) that exist because they could do it better, introducing bitcoin banks become less significant as individuals can now provide themselves with their own banking needs. The amount of resources put into banking needs could potentially be allocated into other valuable industries to allow NZ to be more effective and efficient as intermediaries needs have the possibility to become less relevant. The threats that bitcoin account for relate mainly to the government as anyone that doesn’t adopt bitcoin will ultimately be fine, but for any individual that does decide to pick up bitcoin can either lose their funds as Bitcoin price decrease or gain funds as Bitcoin prices increase in adjacent to the NZD. From the governments perspective anyone that doesn’t invest in bitcoin is fine but for the individuals that exchanged NZD for Bitcoin is where the problems start to occur.Banks stay completive and profit by cross selling and develop new products, this most effectively done by being able to anticipate their customers need by the data that they collect. As soon as the NZD is exchanged for Bitcoin, the banks will not be able to track the funds accurately any longer resulting in their NZ banks profitability to be effected negatively. Organisations can now fund operations without the risk of monetary seizure or sanctions on financial contributions (e.g. GST) this brings up a huge future threat for governments as they may lose control over their countries economy. Organisations will start abusing the grey area off law in order to come out on top, whether this is ethical or not it will happen. The significant level of threat that this currently ‘legal’ method of fraud creates can damage the New Zealand economy enormously. Although Interviewee #2 claims that Bitcoin alone cannot significantly damage the NZ economy and would require more influences without any reasons or explanation I have doubts to whether this answer was backed up with thought or reasoning. Not only organisations will take advantage of how far bitcoin can go in a legally grey area but individuals in society will figure out how to partake in tax avoidance as they are already doing today. Bitcoin is pseudononymous and makes tax avoidance a crime that you cannot be likely caught committing, Interviewee #1 states that if the governments do not get involved this issue will eventually lead to a national/global economic meltdown. In argument to this point if the New Zealand government were to openly announce that they are replacing the fiat currency (NZD) with a cryptocurrency (e.g. BTC) may result in a decrease of investments into NZ and may discourage internationals coming into New Zealand. I agree to what Interviewee #1 says but this will likely be a short term issue as nations opinions on cryptocurrencies will likely align as time goes on. The NZ government should be very careful about how to approach this issue as any direction they decide to go in will result in winners and losers and will ultimately decide the health of the economy. Both Interviewee #1 and Interviewee #2 current opinions on the current bitcoin adoption stage in New Zealand is that they think NZ is at very early stages of adoption in relation to the bigger picture. Rainer Böhme states that the current bitcoin followers are made out of investors and people fed up with the way the banks and government control their money which is depreciating daily, these people are hoping that it gains mass adoption resulting in the price rising. I’d have to agree with Rainer and say that the early adopters aren’t purchasing bitcoin for the sake of willing to spend it at a bitcoin store, these are the people that admire the idea, buy and hold until it is used daily. ‘Interviewee #2’ states that the low current adoption stage is likely due to consumers not being introduced into it and because it is still very inconvenient for Kiwi’s to buy Bitcoin in exchange for NZD as bitcoin exchanges are complicated and not very accessible as well as requiring a premium payment. ‘Interviewee #1’ believes that many Kiwi’s may have heard about Bitcoin but wouldn’t know much more. A big reason for low current adoption would be the silence of the government, the NZ government has made a few statements about their thoughts on bitcoin but no action has yet been taken which obviously scares potential adopters and investors. The laws for other payment mediation do not currently apply to bitcoin, it is also an area that has very weak consumers’ protection as the government isn’t there to act as a safety for users anymore for why it may be difficult for Bitcoin to become generally accepted as a viable means of payment. William Luther argues that the long-run odds are not in favour of bitcoin but does think this is this is the next step to the evolution of electronic transactions. If block chain technology reduces the costs of processing transactions it will be adopted. I have to agree with Luther, the main biggest barrier that is stopping Kiwi’s from using Bitcoin in daily is the fact that transaction fees are currently super relatively expensive meaning they are of no current fit to be implemented in the retail field as of yet. And therefore very few merchants are accepting bitcoin at this stage, it isn’t a normal payment method. After going into the discussion for this aim I have come to the realisation that the real question isn’t ‘when’ is it going to become a competitor to the NZD but it looks more like an ‘if’ question. I think we have come to the realisation that Bitcoin becomes a serious threat to the NZD when it hits mainstream adoption, but trying to figure out if bitcoin has the ability to reach mainstream adoption is a more relevant question. Interviewee #1 believes that mainstream adoption will be achieved in babysteps which I agree with. I think the ball has slowly started to roll where a very select number of consumers are buying some bitcoin, a select number of retailers will start accepting bitcoin and society will start adopting of one another from there. Although saying this Bitcoin will have a very long way to go, who knows bitcoin might face some serious competition with all the other cryptocurrencies staying highly competitive. Are Kiwi’s open-minded about new technologies? Could a complex decentralised system even reach mainstream adoption? The majority of the following pieces of data were gathered by Amber (Watson)who wrote ‘Disruption or distraction? How digitisation is changing New Zealand banks and core banking systems’ for the Reserve bank of New Zealand which was most likely one of the most influencial piece of secondary data which has allowed me to fully explore this aim. • 83 percent of New Zealand adults were using electronic payment methods. • New Zealand is considered the number one global pioneering payment market. These significant statements above give an indication to how technological advanced the world has become and will continue to become. If 83% percent of adults have the ability to use electronic payment methods then 83% of adults can be considered as potential bitcoin adopters. Being considered the number one global pioneering payment market is a real compliment to NZ and almost automatically provides the perfect conditions for Bitcoin adoption to take place. I believe that the disruption of banking services are created by the young generation, people who are looking for a way around, a way out of a centralised world. Considering the last two bullet points basically assuring that the world of electronic development and adoption is not at its peak and still has a long way to go. For an individual to adopt bitcoin it would require them to take the leap of exchanging their fiat currency for Bitcoin, which would only happen in the large scale if people begin to understand and trust the technology. 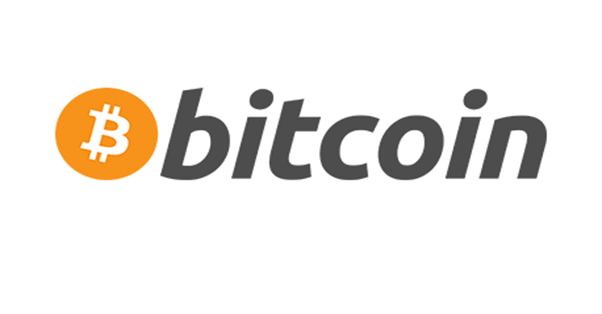 A survey performed by PwC resulted in 83% of those surveyed were unaware of what bitcoin is. This goes to show that 17% of people surveyed knew what bitcoin was but considering the amount of people actually being invested in bitcoin are likely numbers below 1%. If 83% of kiwi adults can be considered as potential bitcoin adopters and only 17% of people actually know what bitcoin is illustrates the fact that we are in very, very small current numbers of adoption when considering what mainstream adoption could mean. The current position for the New Zealand banks to initiate a solution to the problem isn’t as good as imagined. The New Zealand banking systems are dated, variant, and complex resulted from many years of uncoordinated developments and minor platform changes. The uncoordinated platforms and systems create a serious issue regarding to staying competitive as banks have never really been faced with a serious threat like Bitcoin. The government could attempt to find a way of analysing the entire Bitcoin block chain so that the government is able to monitor the transactions that they believe to be in New Zealand. New Zealand banking systems are outdated which wasn’t a big concern while some sort of monopoly system was taking place but now that Bitcoin is introduced into the picture Banks have competition and are forced to respond semi-urgently. The NZ bank have 3 options; to rely on their current banking systems, upgrade their core banking systems, or implement middleware that allows applications to be built on top of their current systems. Both Interviewee #1 and Interviewee #2 had similar ideas to the New Zealand government implementing their own national cryptocurrency that would be created in the sense to allow the government to be in control of distribution and issuing crypto wallets. All these options seem viable but the powerful blockchain technology has left the governments in a tough position. Banning Bitcoin may seem like the best move in order to gain back power, the move may intimidate the majority of people but will not shut the blockchain down. Also banning a worldwide currency in one country with less than 5 million people will almost have very little impact if the rest of the world remains neutral. Considering the potential rewards of tax evasion and being able to live decentralised in a peer-to-peer manner will remain bitcoin as an attractive option whether it is banned or not. Currently it is very difficult for the NZ government to catch a bitcoin user, which minimised the threat and ultimately the risk of facing serious consequences. During the writing of this paper the US congress has just released a bill making it illegal to hold cash, Bitcoin or other assets outside of a Bank without informing them. Summarised – if an individual holds over $10,000 of e.g. Bitcoin and doesn’t declare it, if the government finds out they will be able to take your assets and the individual receives 5 years in prison (trying to raise it to 10 years). This bill has set the example of bitcoin regulation worldwide and has seriously scared many cryptocurrency users. The problem with this is that the government has no way to determine an individual’s holdings on the decentralised block chain. Therefore, Interviewee #2 and I personally argue that because of the way bitcoin is designed it has created a loophole which results there not being any reasonable feasible to disrupt the peer-to-peer platform. This idea to strategically solve the problem of finding a way to flag all the national transactions to the block chain is smart but then again, finding a way to do this provided that individuals can create multiple different addresses keep off the radar with mixing servers creating full anonymity almost seems undoable. The idea of the IRD placing some sort of system on top of the block chain system which can take some sort of percentage or take a fee as a tax payment seems very reasonable. The problem with this is that again, the block chain records all the payments worldwide so finding a way to flag the NZ transactions would be required first. Assuming that the IRD can locate which transactions are taking place in NZ the next step would be to implement some sort of system on top of the decentralised network with worldwide nodes which again, seems like an impossible task. The option of implementing middleware is attractive as it buys the bank time before it needs to replace the underlying core systems. If and when the bank implements a new core system the API can also make the replacement less disruptive to customers, by enabling more advanced testing before new systems go live. Further, APIs enable the bank to outsource the development of customer interfaces to third party providers, while retaining control over customer data. A national cryptocurrency supported by the government with their implemented traits in order for it work effectively in accordance to the New Zealand economy could potentially work, representing as a bitcoin competitor. It is hard to imagine the government to issue digital currency but may be one of the more viable options in order to remain competitive and to allow for control. The government could then ensure that the national cryptocurrency would be designed in a manner that makes Bitcoin unappealing and could make this currency function even better than the current fiat currency system. In this report I have covered the concept of Bitcoin being introduced into the New Zealand economy and exploring the possibility of Bitcoin becoming a competitor in comparison to its current fiat currency (NZD), further I looked into what action the New Zealand government could and should take in order to control the decentralised system. I have covered the secondary research in my literature review, discussed my research approach in the methodology, primary data (interviews) in the findings sections and followed up by the discussion. My research question being: Is Bitcoin the future rivalry to the New Zealand currency and should the government control the decentralised currency system. Throughout the learning journey my view on bitcoin has changed into this being much more of a serious problem than initially thought. The fact that bitcoin represents a digital, unstoppable, decentralised, appreciating, monetary system is absolutely unfathomable to how huge of a step this is for the world. I have discovered that the government simply cannot control as it is a solid decentralised system and the block chain cannot be disrupted. The powerful, unstoppable organisations and centralised authorities now have a match and should be seriously worried about their power becoming insignificant resulting more equality amongst governments and society. Another way to look at the current situation, the introduction of Bitcoin has opened up a game of chess between society and the government. The consumers have two options, to either adopt bitcoin or remain using fiat currency. The government can either remain in their current position and ignore bitcoin and wait for the inevitable to occur or adopt Bitcoin and face more very complex economic issues. In my final opinion considering the knowledge gained during my research, Yes Bitcoin is the future rivalry the the New Zealand currency IF the government decides not to intervene at any point. I believe that at the current stage of Bitcoin evolution it cannot replace Fiat currency as not being able to handle small transactions due to large transaction fees. I believe that if the government doesn’t intervene at some point then they will lose out. To determine how they should manage this problem is likely far out of my capabilities due to not being able to observe the full picture as I have had no real ability to obtain primary data from a government expert. From my knowledge I believe the governments best bet is to consider somesort of national cryptocurrency in order to obtain all of bitcoins desirable features, stay competitive, more efficient, and could potentially solve tax problems. This statement of the government implimenting is likely not a viable option as there are so many flow on effects on each decision resulting in my incapabilities to answer. If the solution was easy then the governments would’ve already gained their control back in 2008.